With the new possibility of ‘contactless pin payments’ the chance you forget your PIN is more likely than ever before. 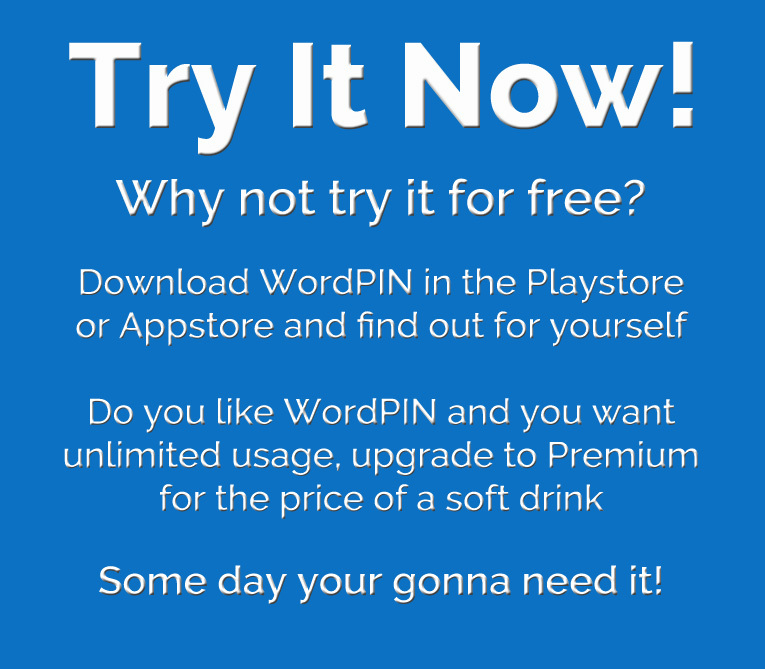 With WordPIN you stay out of trouble! You have more numerical codes than you think! Because of the unique method of WordPIN only YOU can read the given information on the screen of your smartphone. ONLY YOU, and nobody else! How this works? Click here and find out! You’re about to make a debit card payment and can’t recall your pin number. 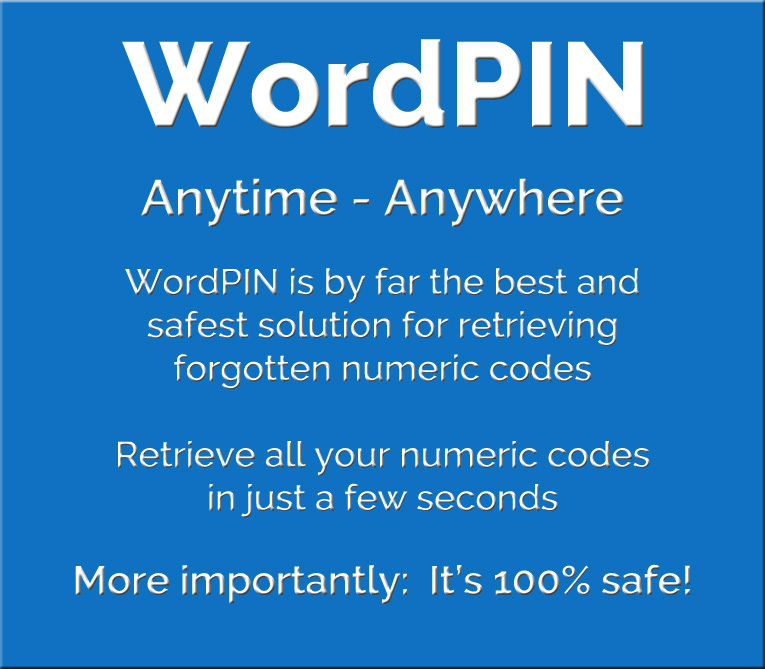 Within 10 seconds WordPIN helps you out! Even if people look over your shoulder, the pin number is only visible to You! WordPIN is what it is! It helps you to memorise all your numeric codes and does that extremely easily. No ‘extras’ you will never use and makes things complicated. It comes with speed and safety! What can we say… if our users already do it! WRONG! I did.. and more than once! Haha! Fun stuff! It’s a Triple S.